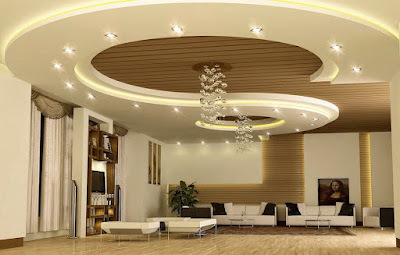 One of the most difficult jobs in the repairing of the house, according to the recognition, both masters, and amateurs - is to bring the suspended ceiling into the proper form. 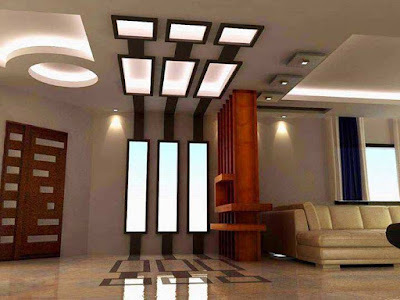 The unevenness of the tiled floors, the inconsistency of the angles, the different level of the suspended ceiling overlap, etc. Eliminating all these defects is sometimes very difficult. 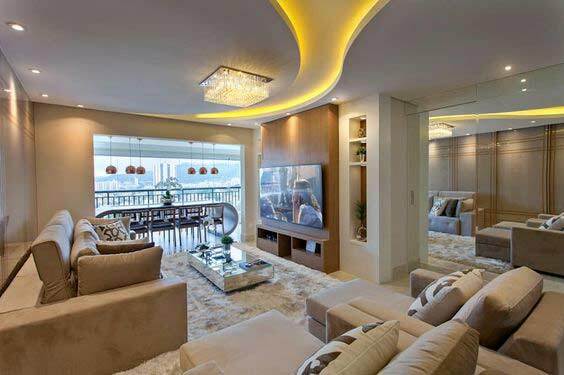 And not only, but also expensive, for example, using the technology of stretch suspended ceilings. In this article, we will consider the technology of plasterboard suspended ceilings. 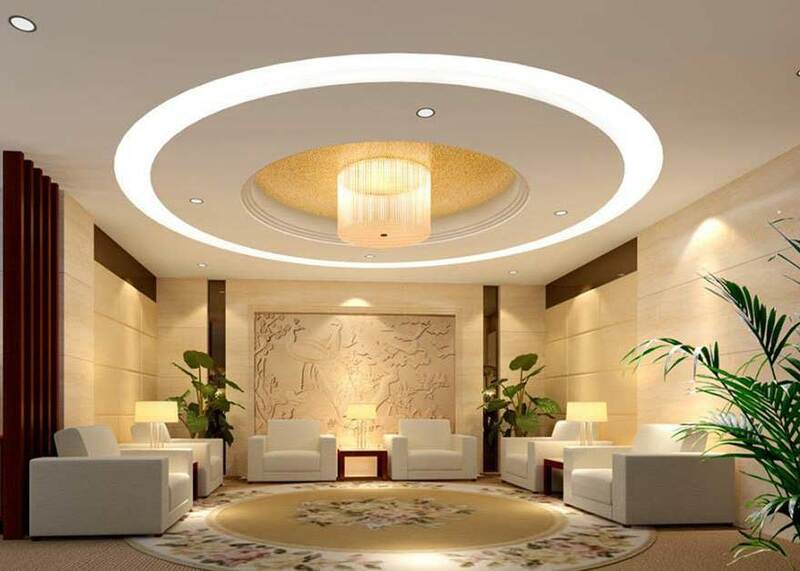 Its advantages are obvious: the low cost of a suspended ceiling of gypsum board, the simplicity of installation and rather small time for its arrangement. The technology is quite simple, and you can make the installation yourself. Let's look at how? Before making a decision to make a suspended ceiling of gypsum board with your own hands it is necessary to make preparatory work, namely: to stock up with the necessary tool and purchase all necessary building materials. Let's look at it in order. 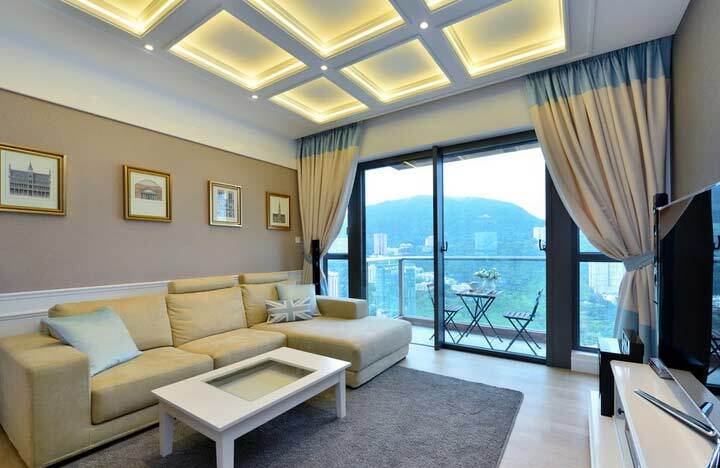 Profil.On two types: guide (mounted around the perimeter of the square, its function is reflected in the name itself) and suspended ceiling (C-shaped). The firm and the form do not have a special importance, it is only necessary that both profiles are the same manufacturer. How much is it necessary? 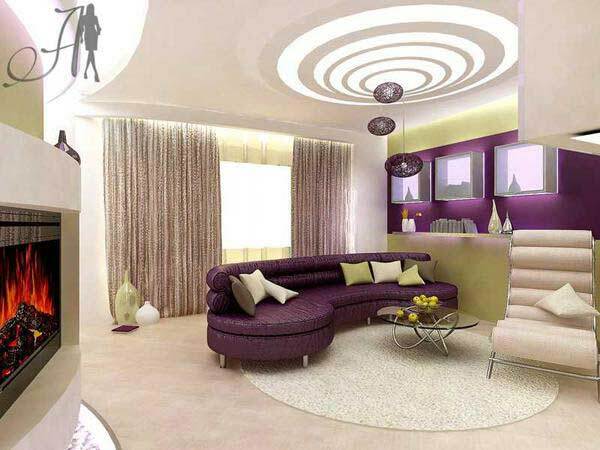 The guide profile is calculated around the perimeter of the room. 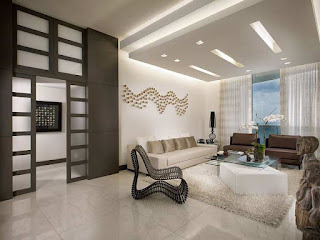 For example, the total area of 20 m2, the length of the walls 5 and 4 meters, respectively. Length of the profile 3 and 4 m, respectively, three meters, we need 7 pieces + 1 stock, just in case you spoil it. For this example, you can take 4 meters, we need 5 pieces, i.e. The perimeter is divided by the length of the profile. 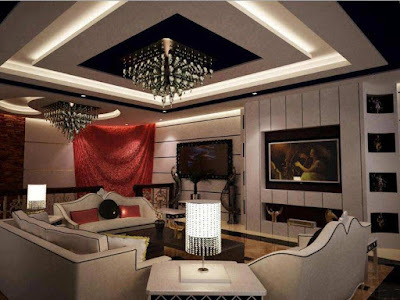 If the suspended ceiling is two-level or will have an intricate design, then to the above figures add the length of the additional structure. 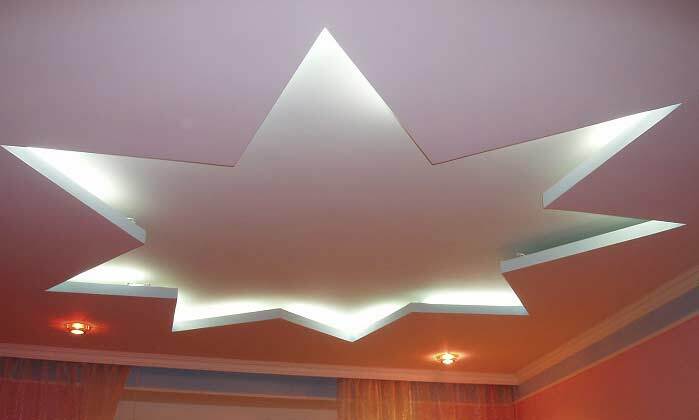 The calculation of the C-shaped profile is made as follows since a sheet of plasterboard has a width of 1250 mm, ideally, its fastening is carried out in steps of 600 mm. Thus, for our example it is better to take 4 meters (less waste will be), a five-meter wall is divided into 60 cm and we get 8 suspended ceiling profiles. 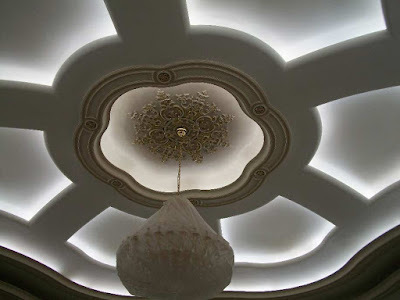 We have given the principle of calculation, for each room and the complex design of the suspended ceiling, it is identical, it is important to add only the additional length of the structure. suspended ceiling: There are three types: normal, moisture resistant and fireproof. 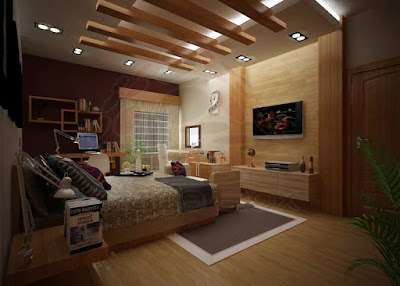 In a normal apartment, if it is not a bathroom, a regular sheet is suitable, there is no reason to overpay. 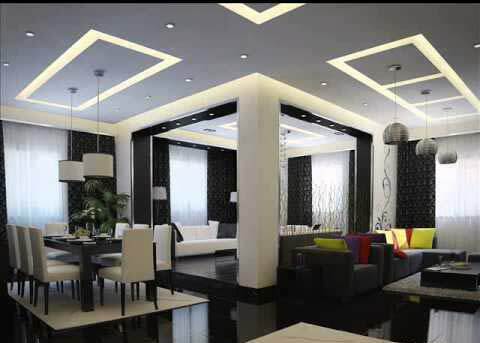 For suspended ceiling mounting, there is also no need to take drywall above 8 - 10 mm thickness. 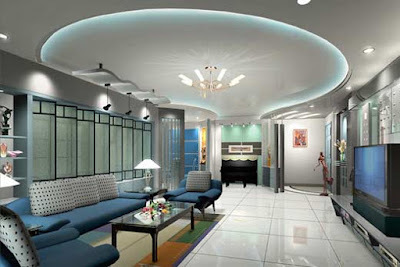 The weight of the construction will increase, but for the suspended ceiling, there is no practical benefit. Yes, and during installation, this increases the complexity of the work, as the weight of the sheets increases. 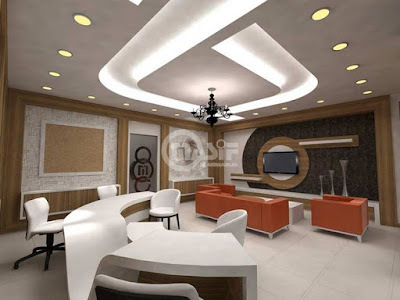 Calculation of the amount of drywall can be made using the following formula: the area of the suspended ceiling is divided by the area of one GCR and we get the quantity we need. The area of the standard sheet is, if rounded, 3m2. If the area of the room from our example is divided by 3, we get 6.6 sheets, i.е. 7. We recommend taking a small stock just in case, one sheet of stock will be enough. Mounting. We need a straight suspension, it is not expensive so you can not count the exact number of pieces, for an area of 20 m2 with a simple one-level design, we need 40 to 50 pieces. 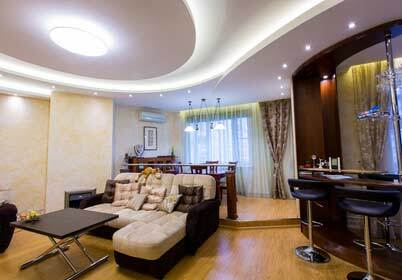 If the suspended ceiling design is complex and you are going to use sheets with a large thick, you will need more suspension. Depending on the design, you will have to calculate the quantity yourself, taking into account the distance between them of 600-700 mm. 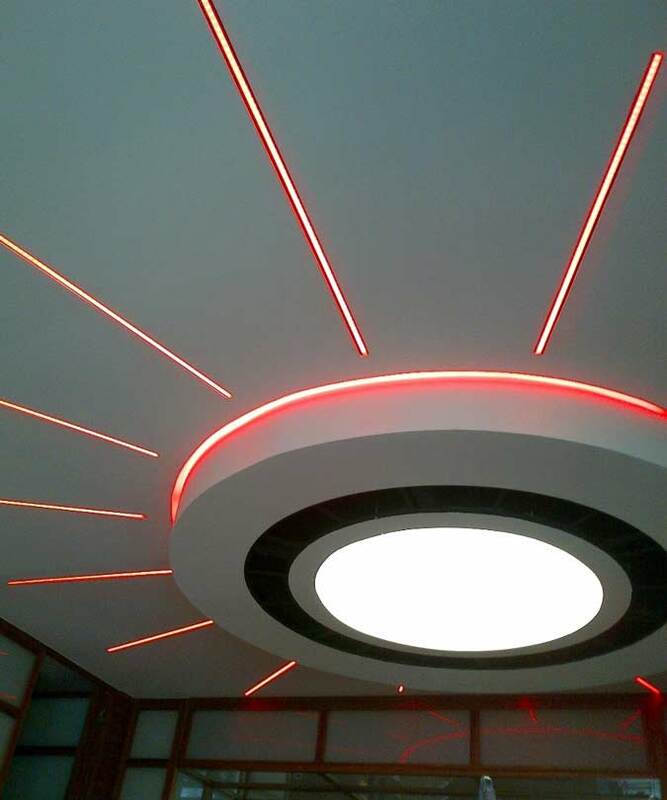 If your design does not provide for a large number of suspended ceiling profile joints, you can do without "crabs", such connections can be mounted using direct suspensions. 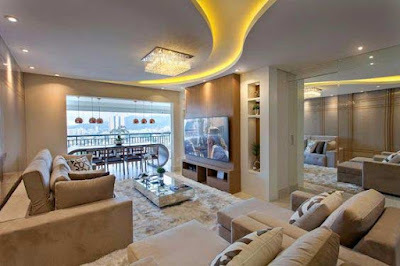 If you do not like this idea, you can buy longitudinal connectors in the amount equal to the expected profile connections. You will need dowels for fixing the guide profile and suspension, usually enough dowels with dimensions of 8x10. A bundle of self-tapping screws is also required to connect the profile. In addition, use self-tapping screws 25 mm long for fastening drywall sheets to the profile. 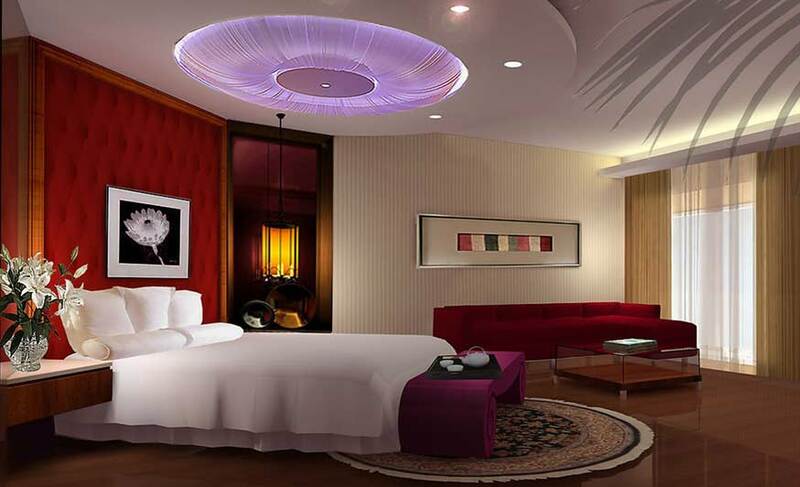 When everything is assembled, you can proceed with the installation of the frame. To mark the installation location of the guide profile, use the water level. Having achieved one level of water in containers on opposite walls - we put labels. How much to retreat from the suspended ceiling is up to you, but for ease of installation of the entire structure, especially when laying heat-insulating wool and/or spotlights, retreat at least 10 cm. After marking on all four walls, proceed to drill holes for dowels with a perforator. We fix the guide profile to the wall with an interval of 30 - 40 cm, in the corners at a distance of 10 - 15 cm. After installing the guide profile around the perimeter with a tape measure, make marks on the wall with an interval of 60cm. Thus, we note the installation location of the suspended ceiling profile. 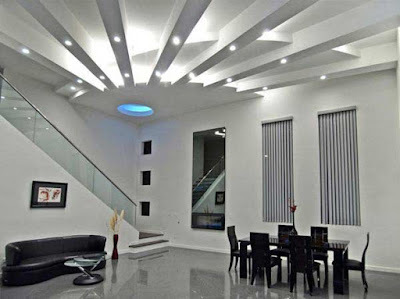 For an uncomplicated single-level design, we do not need the installation of C-shaped profiles in two directions, i.e. We carry out marking on two opposite walls. 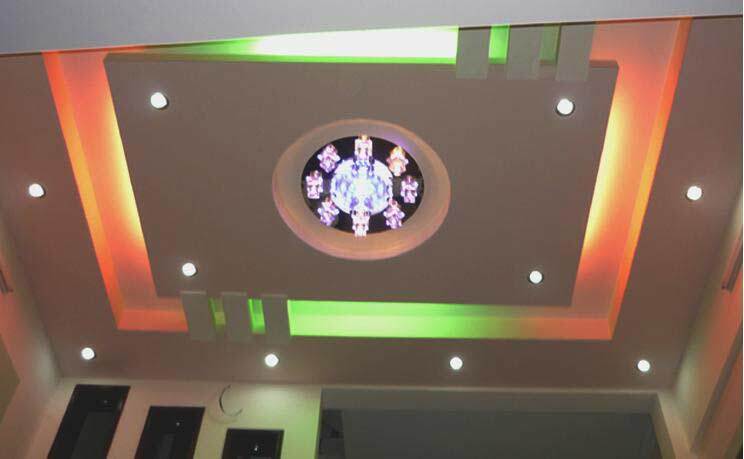 After this, proceed to attach the suspension to the surface of the suspended ceiling. For convenience, be guided by the distance between them in 60 - 70 cm, for example, it will be easier to lay heat insulation cotton wool. But if there is a difference in a couple of centimeters - tragedy will not happen. After installing all the direct hangers, we begin to install the suspended ceiling profile itself. In our example, this is very simple, since the length of the wall is 4 m and the length of the profile is 4 m, we do not have to dock it. 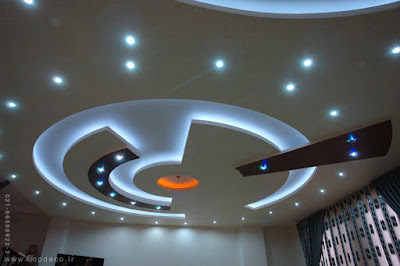 If this is not suitable in your version, then in the joints of the profile, install two additional suspensions to the suspended ceiling, and with the help of the suspension itself or the longitudinal connector, as you like, we screw together the screws. 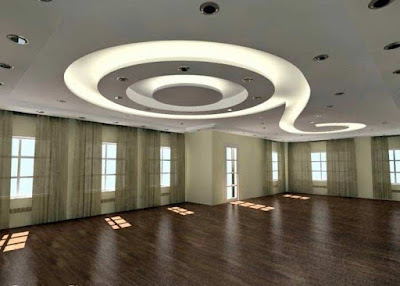 With the help of a drill or a screwdriver, we connect all the places of joining the suspended ceiling profile with the guide, as well as suspensions with a C-shaped profile. 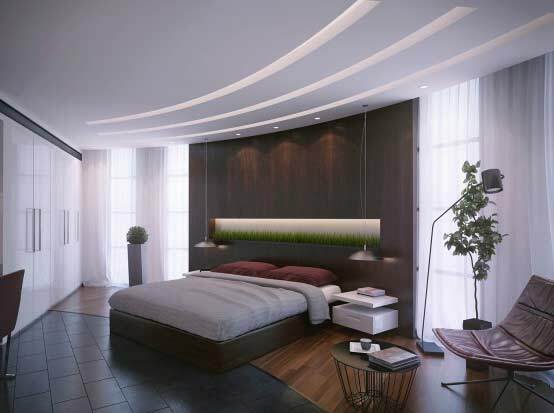 One important nuance when twisting the suspension with suspended ceiling profiles: with the help of a 2-meter level, make sure that the profile is fixed exactly, without bends and sagging. 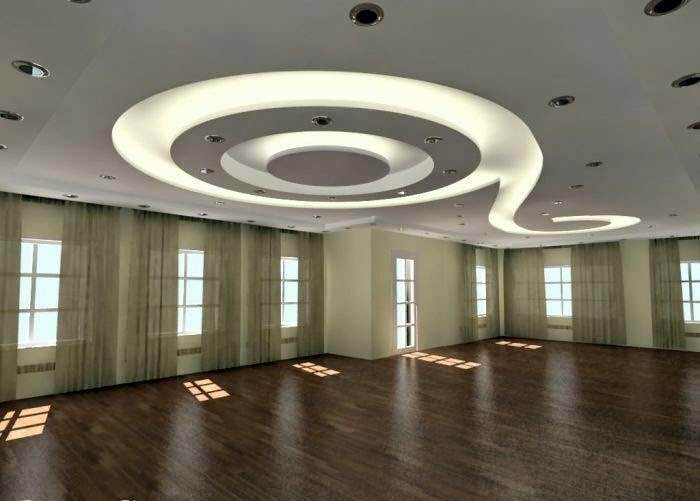 If you do not follow it, then after installing the GCR, you can find that the newly arranged surface of the suspended ceiling is wavy in nature. After connecting all the metal elements of the frame, make sure, using a level in the flatness of the profile surface, put the level in different directions along the suspended ceiling profile. If there are deviations, correct it. We begin to install sheets of plasterboard. In the mount itself, there is nothing difficult, we lift the sheet to the profile and attach it with the help of screws. Interval of 10 - 15 cm between the screws will be enough. "Sew" on the perimeter and center, and the center we have - a notch on the wall. 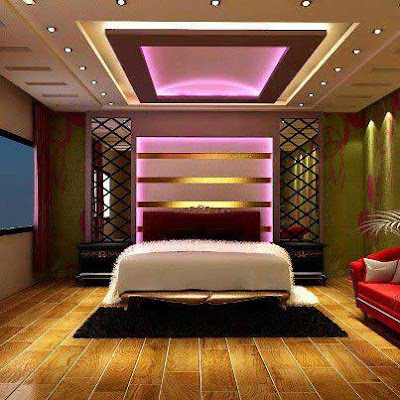 When docking sheets of gypsum board, it is necessary to follow the endings at the joints. The sheets as you can be sure have rounded ends, this is done so that there are no cracks in the joints at the joints, where the layer will be thicker. So, when docking entire sheets or pieces with a knife, you also need to create a small depression along the edges, where it does not exist. Just pay attention to the screw heads, they should be "drowned" in the GCR by about 1 mm. 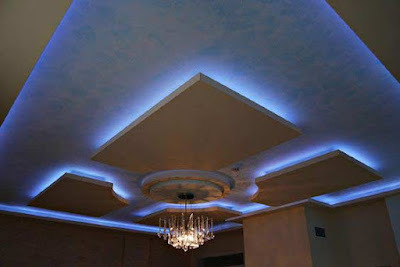 If you act - carefully squeeze, it will greatly facilitate the putting of the suspended ceiling at the end of the work. In the places of installation of lamps or any other communications with a knife, we cut out all the necessary holes. For these works, you can buy a special attachment for a perforator or a drill, this is as you please. 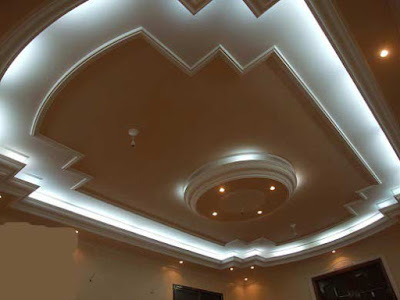 If the sheets of drywall are fitted tightly one to the other, the junction points are "cut" and all the necessary holes cut out, you can proceed to the putting of the surface. For this, in addition to gypsum plaster, you will need a special adhesive mesh for processing the GKL bonding points. If everything is available, proceed to the Shaklee. And we start from the joints. We give them a little dry and you can put the entire surface of the suspended ceiling with the finishing plaster. We let it dry for a day or two, we take 100/120 sandpaper, a lamp to lighting the side of the irregularities and make a smooth and smooth surface. 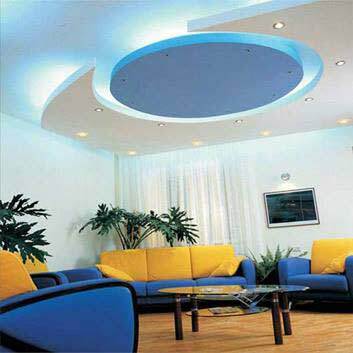 After that, your suspended ceiling is ready for any kind of decoration. 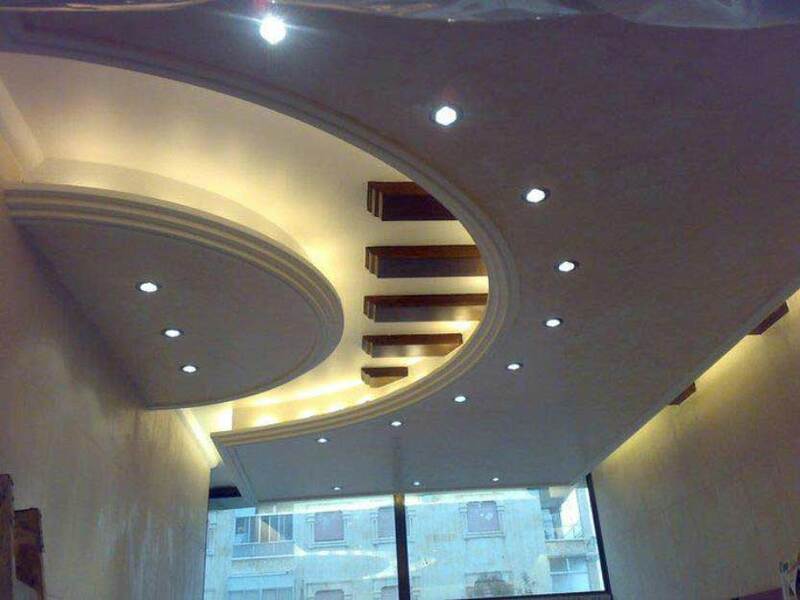 We examined the installation of a suspended ceiling from a simple one-level gypsum board. And if you did not erect such a suspended ceiling with your own hands, we strongly recommend starting with a simple one. 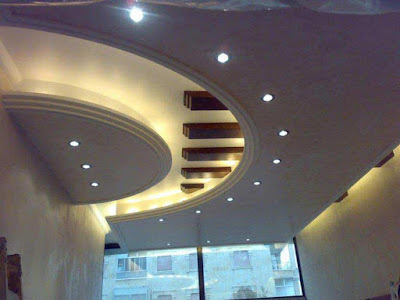 When the experience of similar work comes and you know the nuances of such a design, then the next suspended ceiling you can already collect and two-level. And not only, you can model and reflect the design yourself, as you will understand the main part of the gypsum board ceiling suspended structure. 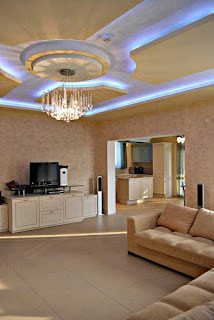 In fact, it's very difficult to describe the ways of decorating. First, this is what the taste and color, as they say, no comrades. 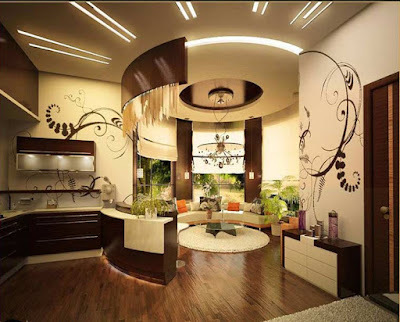 And secondly, the modern construction industry produces such a huge amount of all sorts of decorative, and not only, materials that the volume of the article simply will not allow them to be examined. Here everything will depend on your tastes, desires and financial possibilities. 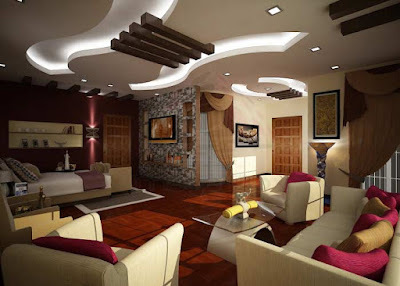 Someone likes the surface decoration with the help of plaster molding, someone needs to use foam plastic moldings in the decor. Someone will put a picture on the suspended ceiling, and someone will simply paste the wallpaper and replace the chandelier. In fact, do not pay attention to all sorts of "fashion" tendencies and other stupidity. 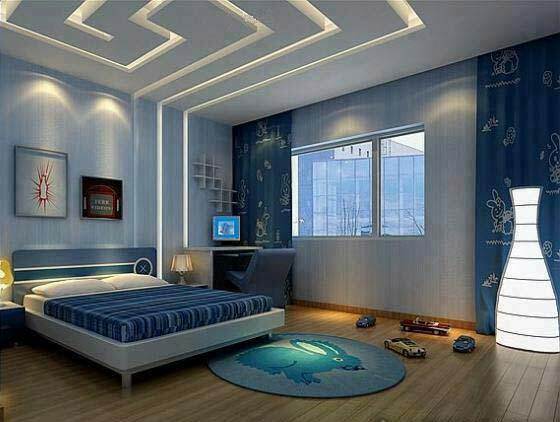 You live in this room, so think - what suspended ceiling will bring you comfort and joy. 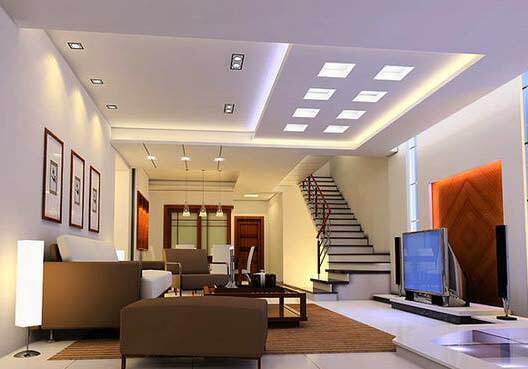 After you understand what you want and it's affordable, go to the nearest hypermarket of building materials and take what will realize your idea into reality, do it for yourself. 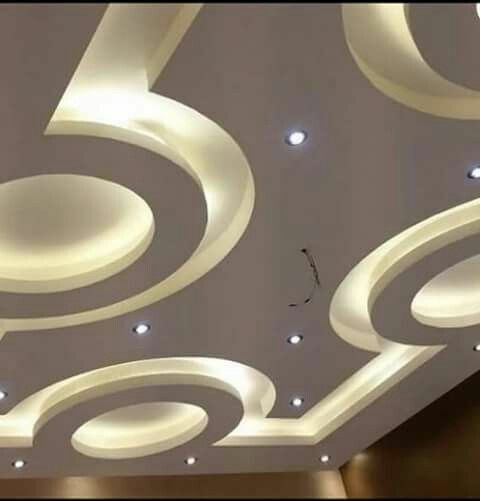 Nothing is very complicated in the technology of plasterboard suspended ceiling, it is important to remember the folk wisdom: "Seven times measure and cut once". And all of you will turn out, belief.